Ms. Wright brings 15 years of experience in massage therapy, chiropractic care and spa services to Douglas Chiropractic. A licensed massage therapist, she supervises the center’s massage therapy department and sees an average of 35 people a day, performing back and foot massage therapies and assisting them in the selection of appropriate massage techniques. 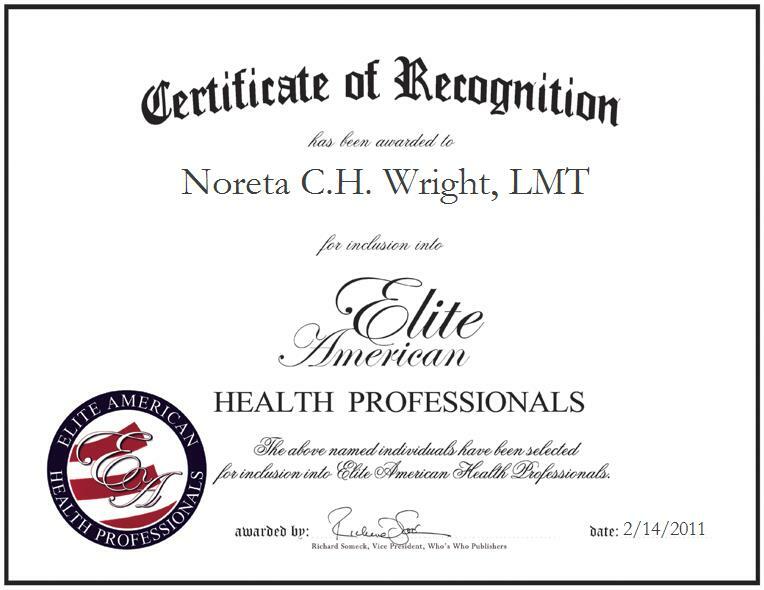 Ms. Wright, an LMT since 1995, first discovered her calling in massage therapy after caring for her mother. Today, she derives personal satisfaction from taking ailing patients and helping them feel better. Affiliated with the American Massage Therapy Association, she plans to teach massage therapy as she moves forward in her career and focus on its clinical aspects.